IITs for medicine - Atrocious thinking by our politicians!!!! IITs for medicine – Atrocious thinking by our politicians!!!! The Indian Institutes of Technology have since long been the barometer of technological development in our country. However I or many of my fellow readers may disagree to this fact but the truth is that for the world they have been the most renowned institutes of our country generating very high intellectuals year after year. The fact that many of them have gone to work outside is a different matter altogether. But now things seem to be changing with one of the most atrocious proposals ever to be brought out by government of ministers. Recently they have decided to bring appropriate amendments in the Institute of Technology’s Act so that they are able to offer courses in medicine. At the moment most of them are content with engaging in interdisciplinary research in medicine and see where it would benefit from engineering activities. IIT Kharagpur is the only one which has expressed its interest currently to start a hospital and offer medical courses. So what effect does this plan / proposal have on the future of our centers of technology? It looks set to destroy the elite nature of IITs as institutions which one looked forward to get into because the entry itself was really difficult. 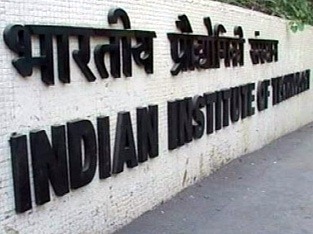 The downfall started with opening of many more IITs diluting the name. With the introduction of medical courses, the downfall seems to be continuing.. The world looks to us for the fact that the students coming out of the IITs are the crème–da–le–crème of the technological world. In such a scenario it would take a number of years before medical students coming out of IITs have some standing in the world. From Google’s Search to Facebook’s Discovery! I think it is a very good decision. It will certainly help in Inter-disciplinary research. What is more important is giving more autonomy to IIT’s. Inter – disciplinary research is a good option rather than introducing entire courses as such. The real issue is the quality of education and standard of graduates. The University system is completely broken by political interference and medical education brought to its knees by the corrupt MCI. Therefore the attempt to use the IIT system ( not perverted yet) to expand Medical Education and increase supply of “good” doctors. I am an alumnus of IITM and have found faculty and management both receptive to this idea. The great Universities of the world offer a mix of courses , for e.g. MIT the bastion of technology includes the Sloan School of Management ( among the top 10 MBA schools); Harvard University famed for its MBA program includes a top notch Medical School and a Law program. As a nation, it is a good step for us to leverage the IIT brand. What we must be careful about is to elevate the new programs to be started to world class levels and not pervert the system. I think this is the right way to push medical education to the masses. AIIMS offer 200 seats which is very less when we compare the same for elite engineering institutes. The only thing is I just hope they are able to do justice to both these courses and one doesnt suffer on account of another. It’s actually a great decision, which opens the doors for medical technology research. India needs more capable graduates than we can produce and “diluting” brand is a small price to pay for sustained growth of the Indian economy and to take millions of people out of poverty. So get over it. 2. If the courses are introduced also, care should be taken that one doesnt suffer on account of another. Most PG courses in medicine are best left to other institutes. They cannot be managed the same way as an IIT successfully run their other courses. Most MD courses require a functional hospital, residents and certain minimum criteria wrt patients, which cannot be provided by the IITs presently. That does not mean that by starting medicine, the IIT mission will be diluted as medicine is a scientific and technical subject. There are many basic science subjects in medicine such as physiology, biochemistry and microbiology, which require good research institutes- much better than AIIMS or a regular medical college can offer. There are also many subjects that require an inter disciplinary approach, such as bio-medical engineering and radiology. These are subjects which the IITs could start now. Other institutes here and abroad are doing the same- MIT and IISc for example. Other courses that require inter- disciplinary studies can be done collaborating with the top medical colleges in the country- CMC, Vellore; PGI Chandigarh; SGPGI Lucknow and SCT Trivandrum. Also, using this as an excuse , we should not allow politics and corruption to influence the excellent admission process in the IITs. I hope that they have thought through all this really well before they started on this venture. Hey you have rightly brought about the kind of courses which can be taught and those which can. think it is a very good decision. It will certainly help in Inter-disciplinary research. IITs almost have courses in Bio medical,Biotechnology,Bioinformatics,.. the emerging areas.. So getting onto Medicine is not a mistake..it will perhaps enhances the system…. You may check out Harvard or MITs.. Are they not providing everything but still maintaining the the brand reputation and quality..Why not for out IIT’s..
Is medicine and biology are not technology? May be even if some donot agree, what about the development after 30-50 years?